INDIANAPOLIS – Dr. Rebecca Nickoli, Vice President for Workforce and Economic Development at Ivy Tech Community College, has been appointed to the Institutional Actions Council (IAC) of the Higher Learning Commission. The Higher Learning Commission is an independent corporation and one of two Commission members of the North Central Association of Colleges and Schools (NCA), which was founded in 1895 as one of six regional institutional accreditors in the United States. The Higher Learning Commission accredits, and thereby grants membership in the Commission and in the North Central Association, to degree-granting educational institutions in the North Central region: Arkansas, Arizona, Colorado, Iowa, Illinois, Indiana, Kansas, Michigan, Minnesota, Missouri, North Dakota, Nebraska, Ohio, Oklahoma, New Mexico, South Dakota, Wisconsin, West Virginia, and Wyoming. The 26 member Institutional Actions Council is made up of 20 experienced peer reviewers who are educators in NCA member institutions and six public representatives. Nickoli was appointed Vice President for Workforce and Economic Development in January 2008 under the leadership of Senior Vice President Susan W. Brooks. Nickoli has been with the college for more than 30 years and most recently served as Associate Vice Provost for Institutional Effectiveness and Grants Administration. 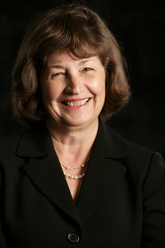 Nickoli has served numerous roles with the Commission, including Consultant/Evaluator, Member of the Accreditation Review Council, and most recently President for the organization’s Two-Year College Council. She also coordinated and authored Ivy Tech’s system wide Higher Learning Commission self-study. A native of Richmond, Nickoli began her Ivy Tech career at the college’s Richmond campus. Nickoli earned a bachelor’s degree in Latin, a Master’s degree in student personnel administration, and an Ed.D. in educational administration from Ball State University.